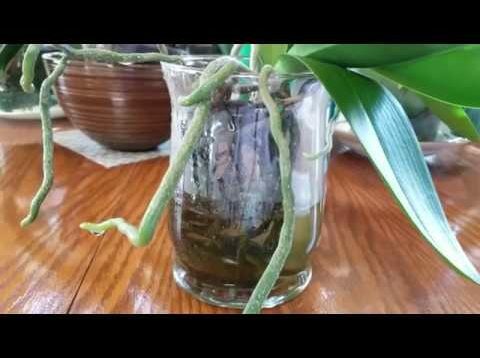 Water culture for Phalenopsis orchids: Is it a good long-term growing method? From my perspective. My perspective about growing Phalenopsis orchids in water culture long-term after 3 years of experience with the method. For more information about water culture, here’s a link to the playlist I created: https://www.youtube.com/watch?v=zFPrQ962JNo&list=PLa27IDqybK0ERRm6sQBo-Pb4pRsUeMYOk Here’s a link to my repotting playlist where I show how to repot orchids in bark or moss: https://www.youtube.com/watch?v=qRGNljvePSI&list=PLa27IDqybK0Hwb4UYlDBSFv5P8iQhNMzT Happy growing! How to provide temporary shading in your grow areas! Light tips and new blooms. How to provide temporary shading in your grow areas. NOID Dendrobium is in its first rebloom, V. Robert’s Delight ‘Garnet Beauty’ in bloom, many Phals are blooming, and an update on my Cattleya. 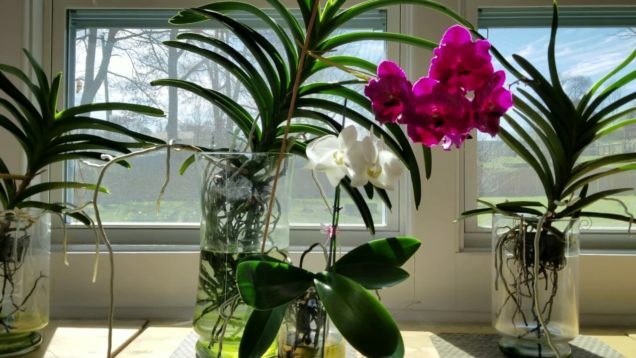 Light requirements for all my orchids. 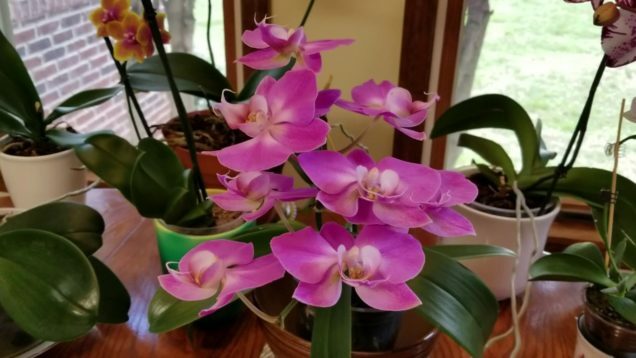 Fertilizers, media, & supplies I use for orchid growing, and where I find them! 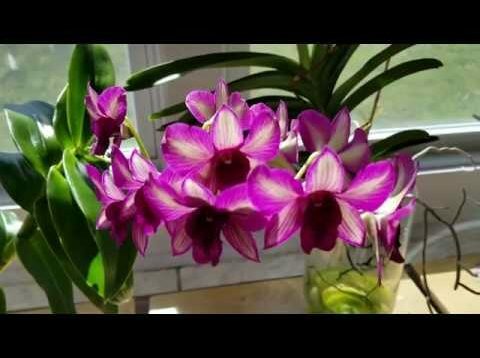 In this video, I show the fertilizers, supplements, moss, bark, orchid pots and supplies I use with my orchids, and where I find them. 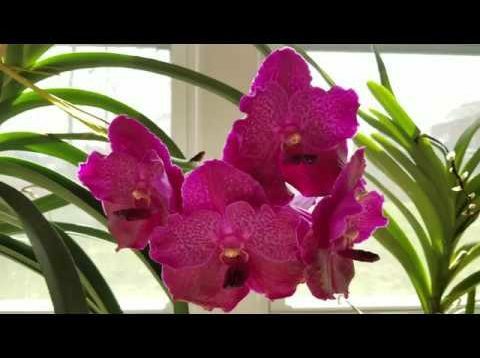 Starring Vanda Robert’s Delight ‘Garnet Beauty’ and Phal Legato. An update video after 2 months of increasing my fertilizer after V. Pachara Blue showed signs of Nitrogen deficiency. I also give tips on watering, my fertilizing schedule, how I have my Vandas attached to glass vases, and light requirements. 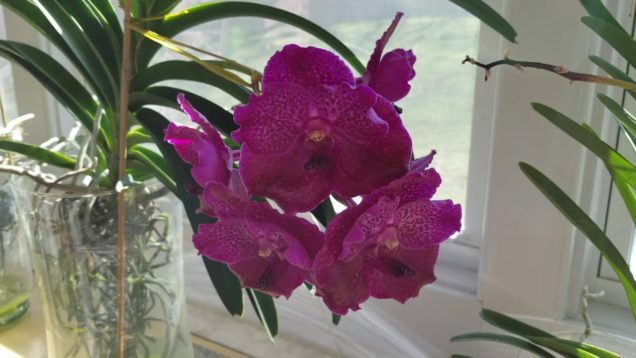 Shout-out to Michael McCarthy for sharing his wisdom on growing Vandas. Happy growing! My Cattleya is in bloom! 1st day of Spring 2019 tour! 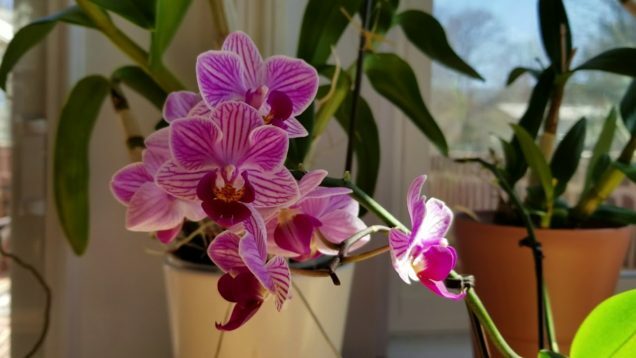 Spring 2019 Fertilizer Recipe for Phalenopsis Orchids! What is water culture? What is in water culture? Tips to get you started! 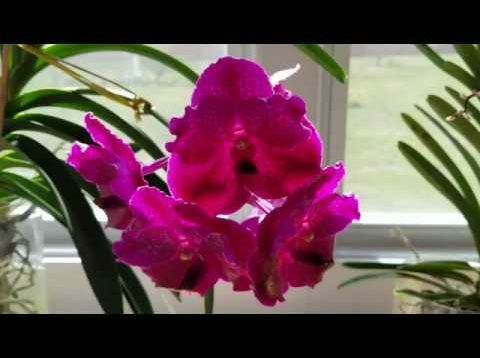 The basic concepts of the water culture growing method for orchids. For more information, here’s a link to my water culture playlist: https://www.youtube.com/watch?v=zFPrQ962JNo&list=PLa27IDqybK0ERRm6sQBo-Pb4pRsUeMYOk Happy growing! 4 Year Anniversary of Orchid Whisperer & Updated Features On The Channel!